When I saw these beads, I thought of the Japanese lanterns. 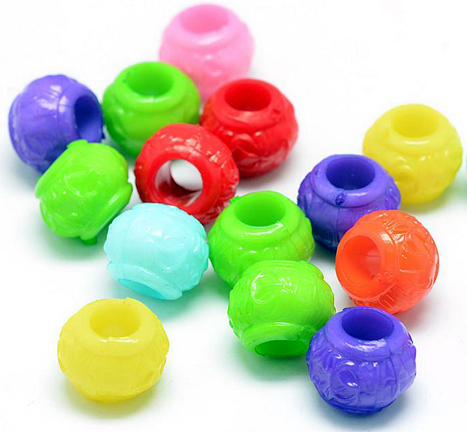 There is a lot of texture in these brightly colored beads with a very large hole which makes them perfect for hiding knots! They're a heavier, versatile bead to add to any of your bead making parrot projects!